One of the most devastating experiences in life is the untimely death of a loved one. This particularly is the case when a family member’s life is taken because of the negligence or reckless conduct of someone else. Texas law permits the pursuit of what is known as a wrongful death case. Texas law permits the pursuit of a wrongful death case against a party that causes the death of a family member because of a wrongful act, negligence, carelessness or default. Texas law specifically delineates who may pursue a wrongful death case. A surviving spouse, child, or parent can pursue a wrongful death case. 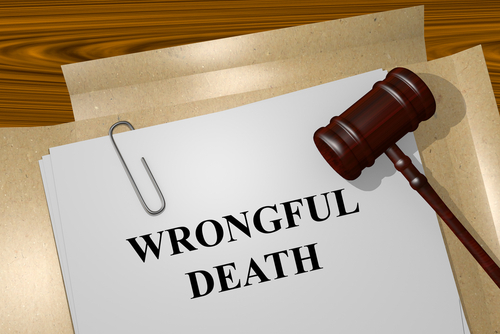 These individuals can pursue a wrongful death lawsuit individually or together. These identified family members have three months to file a wrongful death claim. If they fail to file a claim within that time period, the personal representative or executor of the estate of the deceased family member can pursue a claim. The personal representative or executor cannot pursue such a claim if one of the family members previously identified states that he or she does not want a wrongful death claim to be pursued. The underlying circumstances governing an incident that caused the wrongful death of a loved one, and the nature of the legal relationship between a deceased individual and a surviving family member, govern the type of possible compensation in a wrongful death case. With that said, a wrongful death attorney commonly seeks compensation for losses that include last medical expenses, funeral bills, loss of companionship, lost income or support, and mental anguish or emotional distress. The first step in retaining the professional assistance of a wrongful death lawyers in Houston TX, like a member of the legal team at Sigmon Law Trial Lawyers, is to schedule an initial consultation with a lawyer. During an initial consultation, family members of a deceased loved one are provided with an evaluation of the case. This includes possible strategies to seek justice in a particular case. As a general rule, personal injury lawyers in Houston, including in wrongful death cases, do not charge a fee for an initial consultation.